Matthew Gray Gubler is an American-born actor, producer, director, writer, model and visual artist. With several illustrious years of TV and film acting behind him, Gubler is best known for his career-defining role as genius criminal profiler Dr. Spencer Reid in the long-running CBS hit series Criminal Minds. He has not only been active on TV, on the movies, Gubler has featured in movies such as The Life Aquatic with Steve Zissou, (500) Days of Summer, Life After Beth, Suburban Gothic, Newness etc and has also lent his voice to the character ‘Simon the chipmunk’ in the 2007 box-office hit Alvin and the Chipmunks. 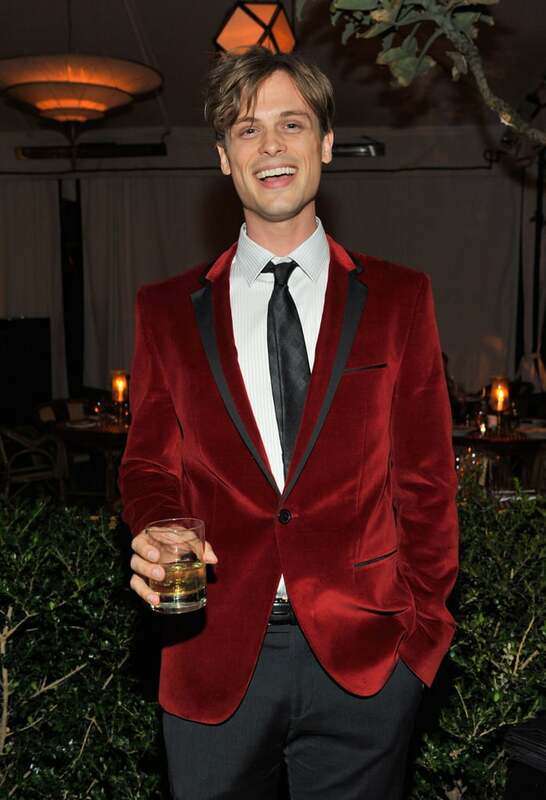 Matthew Gray Gubler was born on March 9, 1980, in Las Vegas, Nevada. His mother Marilyn (née Kelch) worked as a political advisor while his father John Gubler is a lawyer. He had his high school education at the Las Vegas Academy of International Studies, Visual and Performing Arts. His first choice major was filmmaking, however, he opted for acting since the school did not offer the former. For his college education, Matthew Gubler studied at the prestigious New York University Tisch School of the Arts graduating in 2002 with a B.F.A. degree in film directing. He began his modeling career as a college student having been spotted by a models scout. Gubler got signed to DNA Model Management where he worked for major designers as well as retail brands. Matthew Gray Gubler eventually delved into acting following an internship with renowned filmmaker Wes Anderson. He successfully auditioned for a role in Anderson’s The Life Aquatic with Steve Zissou which marked the beginning of his professional acting career. In 2005, with an almost non-existing résumé, Matthew Gray Gubler landed his breakthrough role as Dr. Spencer Reid on the CBS crime drama Criminal Minds. He has remained a member of the main cast of the hit series since 2005 and has appeared in every season of the show. Criminal Minds was renewed by CBS for a 14th season in May 2018. In addition to his starring role, Matthew Gubler has also taken up directorial duties on a number of episodes. The multitalented Hollywood star has also been successful on the big screen, he had a voice role in the animated musical comedy Alvin and the Chipmunks (2007) as well as its successive sequels. He also starred in the highly acclaimed romantic comedy 500 Days of Summer (2009) followed by voice roles in All-Star Superman (2011), Scooby-Doo! Legend of the Phantosaur (2011) and Batman: Assault on Arkham (2014). Gubler also had starring roles in the comedy horror Suburban Gothic (2014) as well as the crime film 68 Kill (2017). To the best of our knowledge, there are no public records of Matthew Gray Gubler ever contracting a marriage with anybody yet. Throughout his long-running showbiz career, the multitalented actor has never tied the knot with any woman (or man). Therefore, until these facts change, Matthew Gary Gubler retains his position as one of the most eligible bachelors in Hollywood. However, even though he is yet to get officially hitched, Matthew Gubler has enjoyed quite an interesting relationship timeline. In the early years of his career, Gubler was romantically linked with model and musician Charlotte Kemp Muhl. He has also been linked with one of tinsel town’s most promising stars Kat Dennings. His relationship with Dennings happened in 2007 and it lasted for only a few months. 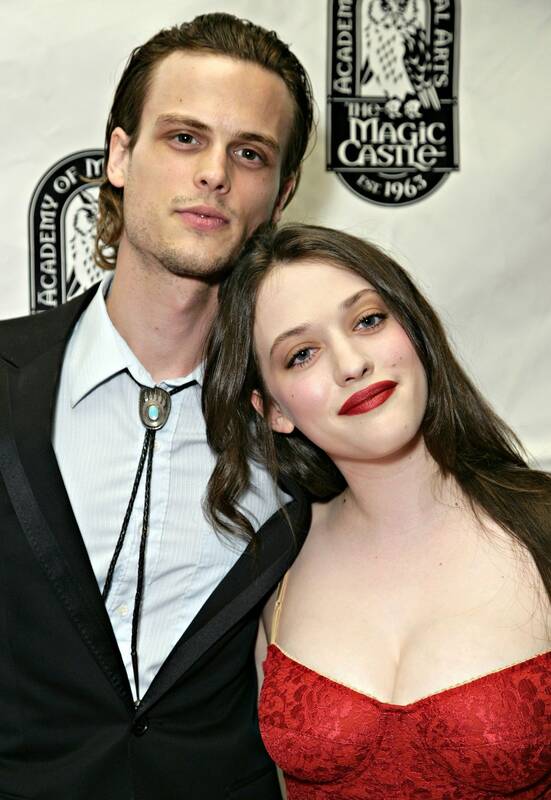 Following his breakup from Kat Dennings, Gubler was linked with music artiste Victoria Asher. In July 2013, it was also reported that a relationship appeared to be brewing between the actor and music royalty Taylor Swift. Exciting as their possible relationship may be, this report was never confirmed by either of the two. Going by his previous choice of relationship partners, it would be safe to say that Matthew Gray Gubler is not gay. In addition, the actor has never made any statements that may suggest otherwise. In 2012, the creator of Criminal Minds announced that Gubler’s character on the show Dr. Spencer Reid had initially been intended to be bisexual. This piece of information could possibly have been misconstrued in many ways. However, Matthew Gray Gubler has never admitted to being bisexual in real life. Mattew Gray Gubler stands at an impressive height of 6 feet 1 inch (185 cm). Over the years, the Criminal Minds star has maintained his trim physique with a body weight of 79 kg (174 lbs). He has a chest circumference of 39 inches (99 cm) while his biceps and waist sizes are 14 inches (35.5 cm) and 33 inches (84 cm) respectively.